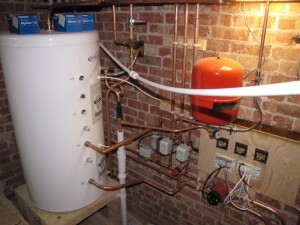 This entry was posted in Heating and Hot water System by admin. Bookmark the permalink. Im interested that you have gone for three seperate zones i have been considering seperating the single zone system in my house as i frequently want more heat in the living rooms (kitchen/lounge/diner) but dont want the boiler heating up all the upstairs rooms as well. This usually ends up in me putting the fire on in the living room, which sort of defeats the object of a centrally heated system. Certainly worth doing if you’re putting in new distribution pipework and rads, but could be tricky if adapting an existing.